Starting at age 12, Tim Abrahams was that neighborhood kid who mowed everyone’s lawn. 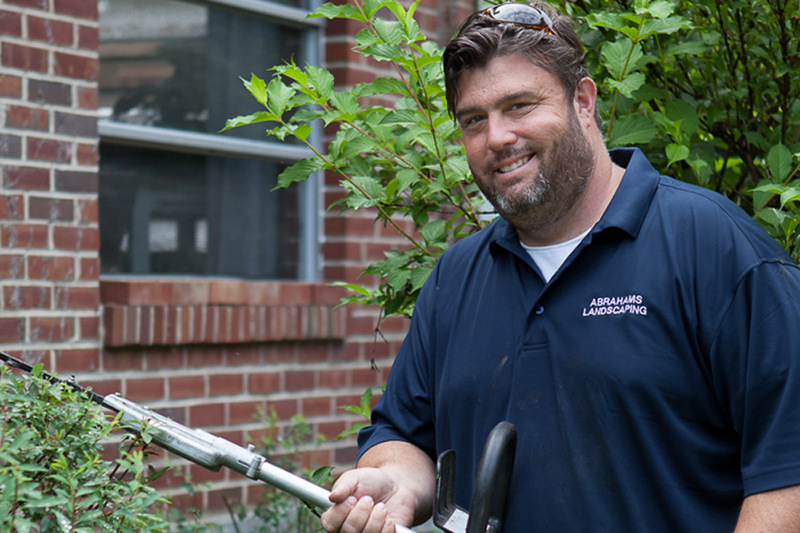 Not content to sit behind a desk all day as an adult, this independent-minded Silver Spring native started Abrahams Lawn Service. What began with one truck in 1991 has grown into a highly regarded and trusted local business initially serving the Woodside/Silver Spring area, and now serving residents and property managers in Chevy Chase, Bethesda and Northwest DC, as well. Tim is backed by an expert and knowledgeable crew (they’re those hardworking men in green shirts you’ve seen in your neighbors’ yards) who assist their clients in all aspects of lawn care from mowing and trimming, to tree service, to landscape design, to hardscape installation. Tim’s work ethic and perfectionism is something he learned from the former owner of Abrahams EXXON on Fenton Street, a/k/a his dad! When Tim isn’t managing his business, you’ll find him…outdoors, of course! Boating, fishing, sailing and crabbing are among his favorite activities. Contact Abrahams Lawn Service for more information or to obtain a quote.